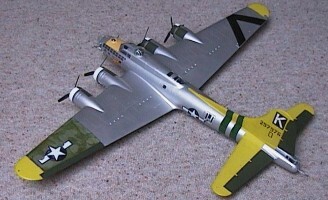 Thank you for stopping by at this home page for the enthusiast modelers. 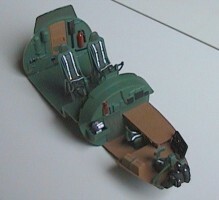 Are you in the search for a model kit instruction? Or are you searching for ideas for your next project? 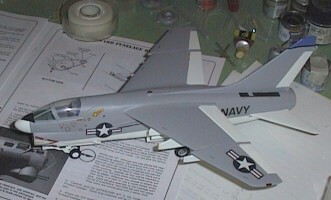 Or are you on the search for variants of the model kit you are building right now? In all these cases you may be at the right place? I don't want to say that this is the largest collection of model kit instructions. Simply because I don't know it. Maybe there are bigger ones. But I haven't seen anything comperable by now, don't know about them. But with over ten thousand entries you have for sure to search far to find a comparable collection - Online. So look around and have fun. My Modeler's Workspace acknowledgement by Airfix. 27. June 2017 - Added a Review Section (with one review, so far). Changed Catalogues Section to database and added several catalogues. 13. February 2017 - Cleaned up. There has beein inacuracies in the database, and there were a lot of instruction previously available (manily Academy) missing. So there are now also about 650 new instructions in, and some doublettes eliminated. 20.Januar 2017 - Complete Change from Table to Database. Also rework and streamlining of content. Currently 12423 instructions available. 16.Dec.2015 - Ludwig's Modeler's Library Has getting a major overhaul. Mostly internal, but with an incredible increase of instraction. As of today, there are 11006 instructions. That's more than doubling the content. The list of all the kits on this site is only a list. It cannot be selected from there directly anymore. An overview of the amount of all the instructions has been added. 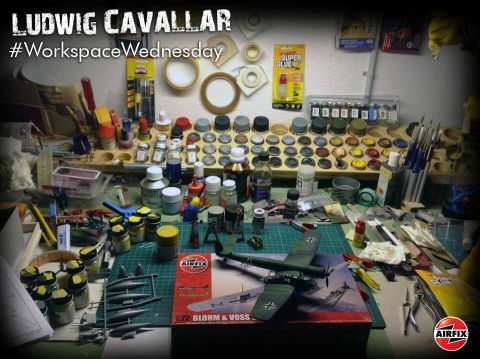 25.Dec.2014 - Added 252 Revell instructions. 3.Dec.2014 - Added 280 Airfix and Matchbox instructions; Added catalogue section. 24.Nov.2014 - Ludwig's Modeler's Library is going live. Containing over 4300 objects. And many more to come.